The AIT programme aims to support scientists in transforming their high-level applied research into market application and discovering their entrepreneurial potential. 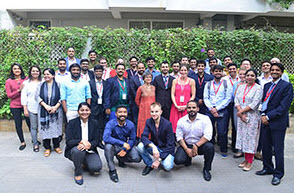 By connecting scientists from top institutions in Switzerland and India, the program promotes an international network and enables access to one of the most promising markets and intellectual capitals in applied research. Open to high-level and carefully selected researchers: Master, PhD, Postdocs and researchers of Swiss Universities, Universities of Applied Science and research institutes or centres of technological excellence with research track record working on a non-profit basis (cf. LERI Art. 15 for details) – seeking to explore the successful market application of their high-level applied research. Dieser Eintrag wurde veröffentlicht in Förderinstitutionen, Internationales, Studierende und verschlagwortet mit AIT von Gabriele Biller. Permanenter Link zum Eintrag.